Captain Patrick Rupp is a true lover of the outdoors. He has a passion for fishing and a lifetime worth of experience. Patrick got his first fishing boat at the age of 11 and has been at it ever since. He possesses a drive and excitement for fishing. 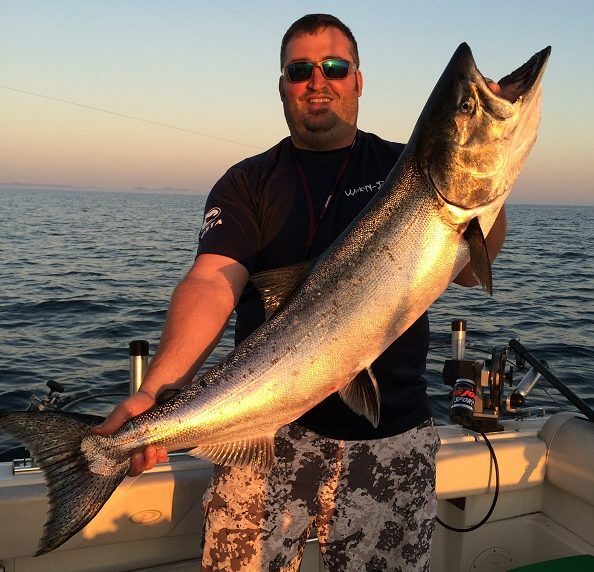 This same drive and excitement has contributed to his 15 years of professional Big Lake Tournament experience, as well as over a decade of full time Charter Captain experience. He is also a Coast Guard Licensed Master Captain, making him a very capable boatman. Captain Patrick strives to make your day as comfortable as possible, as well as fun filled and highly successful. His goal is creating memories that will last a lifetime for his clients. Our 35′ Pursuit, powered by twin 300hp Yamaha engines is very comfortable and one of the fastest charter boats on the Great Lakes. This provides more fishing time and a farther reach than most other boats. 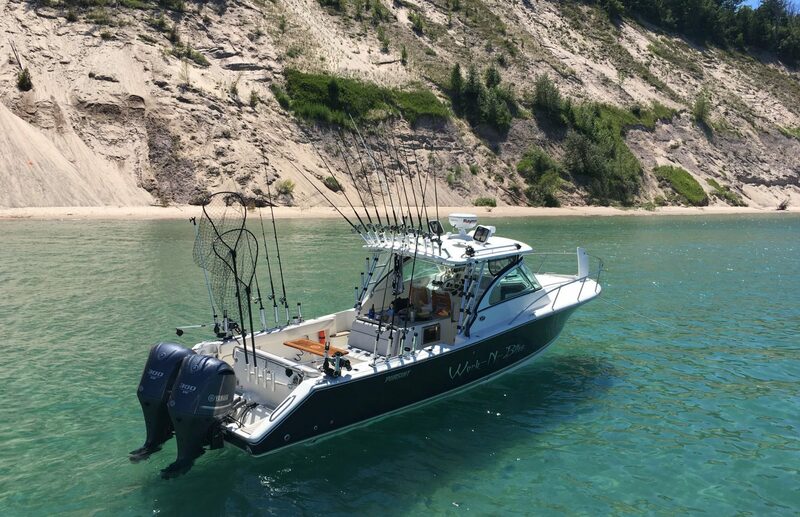 The boat is well maintained and stocked with the latest in electronics and top of the line fishing equipment and safety gear, along with a comfortable setting and nice restroom. The boat is also DNR inspected and approved.